From the feedback we’ve received, TEDxBasel 2018 was our biggest and best conference to date and we have so many to thank for ensuring it was a great success. First, a big thank you to all our amazing speakers and performers who inspired, intrigued & left us with their Idea Worth Sharing percolating in our minds. Thank you also to all of our partners for their generous support that enabled us to put on the best event we could. Lastly, the biggest thank you is reserved for you – our amazing attendees! 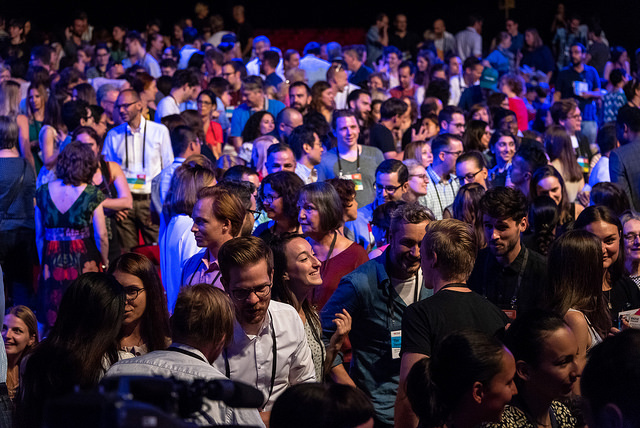 Our speakers and performers thought our TEDxBasel audience was just fantastic, the atmosphere so positive and it made their on-stage experience all the more enjoyable. Without your support, the conference just simply wouldn’t have been possible. Below you will find some of our 2018 talks - the remainder will be available soon so stay tuned! Highlights below. Check out all the photos from the event on our Flickr page here.